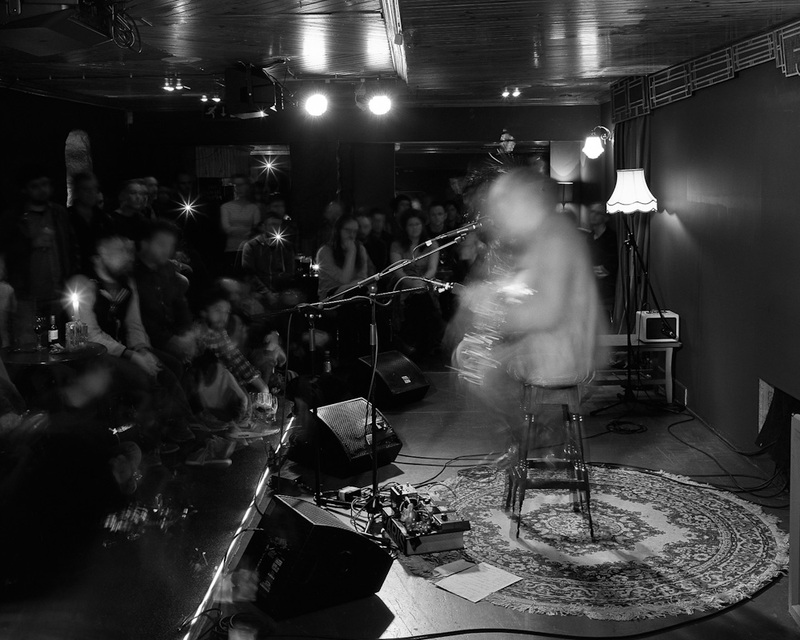 This is Lee Ranaldo playing a recent solo acoustic gig in Dublin. Sonic Youth are on hiatus at the moment and consequently there doesn’t seem to be much hope of any new records any time soon. The upside of this though is that all of the members are not only pursuing interesting solo projects but also touring them in venues that are much smaller and more intimate than the ones they would be playing in if the whole band were in tow. Lee Ranaldo’s show was in the Bello Bar, which fits maybe 100 people – a far cry from the last time I saw Sonic Youth, which was at an ATP event in the UK a few years back, with an audience of a couple of thousand. “We’re not missing a day of the trip just so you can go and see some poxy band”. Of course, I can’t blame them. To them Sonic Youth were just another band, one they had only vaguely heard of, if at all. But I had been obsessing over them for a few years at that point, reading everything I could about them in Melody Maker, and constantly listening to Daydream Nation, Evol and Sister. To me they were easily the most interesting band around at that particular moment, not just for their own music, which was inventive and exciting in many ways, but also for their status as lynchpins of an impossibly cool New York music scene, one that was more interested in what was happening in cutting-edge contemporary art than in whatever banalities were preoccupying the jangly English guitar bands of the time. I was also fired up by reports of their live shows, which sounded wild, chaotic, and intense: bleeding fingers, screwdrivers, smashed guitars. However, it wasn’t to be, and I didn’t get to see Sonic Youth that time. As I said already, I did get to see them many times after that (though I also missed the famous Irish tour one year later where they had Nirvana as a support act), but for some reason this particular September 1990 show looms large in my memory as the big one that got away. The gig happened in McGonagles in South Anne Street, a venue that would have been well familiar to Dublin gig-goers of the late 80s and early 90s. McGonagles could hold maybe 600 people or so, had a bar that only sold disgusting champagne cider, and in reality was a bit of a dump. It closed a long time ago, and while I remember little about the place itself, I clearly remember many of the fantastic gigs I saw there. I remember being trampled on in the mosh-pit at Dinosaur Jr. I remember having my mind blown at My Bloody Valentine and Loop. I remember being slightly scared of the punks and skinheads at Fugazi and NoMeansNo. A few weeks ago I was at an event organised by Young Hearts Run Free that included a short walking tour of the centre of Dublin, conducted by Siobhán Kane. The idea was to visit sites that had some significance with respect to the musical history of the city and during her introduction Siobhán mentioned McGonagles. 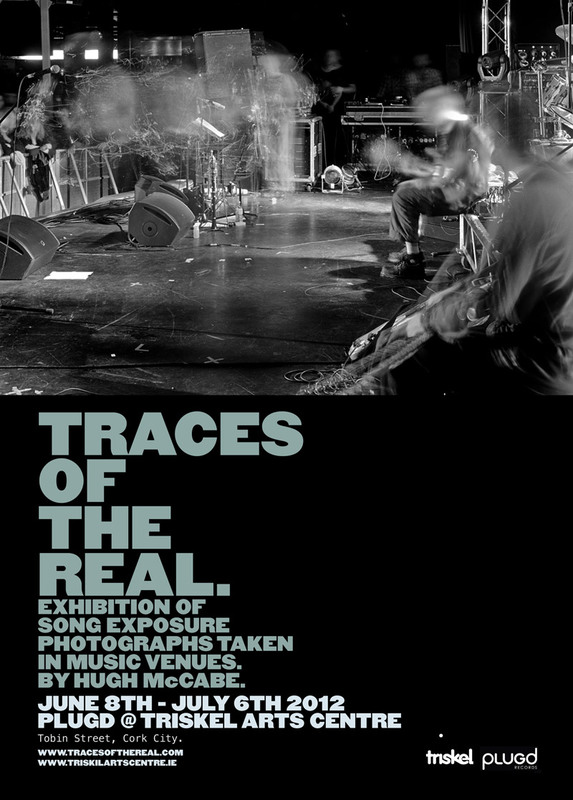 She referred to its place in the minds and memories of Dublin music fans in terms of psychogeography. This is a term that was used by Guy Debord and the Situationists but the origins of its practice go further back to people like Baudelaire and Walter Benjamin. Psychogeography refers to a kind of collision between subjective psychological states and urban environments: an attempt to reconstruct the city as a mental concept and in doing so uncover or create new meanings and associations beyond the mundane everyday realities. For Debord and his situationist colleagues this was a subversive act, and they suggested strategies for doing it; ways of conducting urban explorations designed to jolt us out of our routines and see the city anew. The concept and practice of psychogeography has become more and more prevalent since Debord’s time. For example, a more contemporary version of it can be found in the writings of Iain Sinclair. Sinclair constructs elaborate accounts of London, often based on epic walks whose trajectories are determined in advance according to some rule or rules, but which then delve deeply into various hidden histories of the city and in particular those neighbourhoods that the walks pass through. These histories typically revolve around things like literary life, forgotten poets, the occult, and all manner of esoteric or secretive occupations and practices. What Sinclair’s work so strikingly reveals is the multiplicity of lives that coexist across space and time within our rich and densely populated urban spaces, and how no homogenizing historical or social account can possibly do justice to what can be experienced or imagined within them. While I was watching Lee Ranaldo in the Bello Bar I was thinking about this particular hidden history of forgotten venues and the gigs that took place in them. I find it impossible to walk down South Anne Street now, even after all this time, without thinking about McGonagles. Similarly George’s Quay will forever be the site of The Attic, where my own band played many times, and which also hosted soon-to-be-huge acts such as Therapy? and Green Day. At the junction of Dame Street and Georges Street there is now a lap-dancing club, but this building was once the home of The Underground, where I first saw seminal Irish bands like The Whipping Boy and the Mexican Pets. At the Capel Street end of North Strand Street, opposite Pantibar, there sits a pretty nondescript building that now houses a web design agency. But this was once the home of the tiny Fox And Pheasant venue where The Ex, among many others, once played. Further north up the other end of Capel Street, where there is now a gastropub, there once was Barnstormers, a biker bar that hosted numerous punk gigs put on by the Hope Collective. If you head east down Parnell Street from there, you eventually end up at Mountjoy Square, an area that for me is permanently associated with the SFX Centre, where I saw Nick Cave And The Bad Seeds for the first time in 1992. Of course there are many Dublin venues still standing from that era (Whelans is now celebrating its 25th anniversary for example) but there is something particularly intriguing about the ones that are no longer with us. All their physical traces get quickly erased, and no official accounts of the city see fit to mark them, but they linger on in the memories and oral histories of those who frequented them. For myself and many others, our mental maps of the city are permanently inscribed with their presence, along with the pubs we went to before and after, and the nearby alleyways where we skulled cans and smoked joints before going in. This is a psychogeography that is deeply ingrained and constantly present to some, but nevertheless one that many others are completely oblivious to. I think this hidden and marginal nature of it is what makes it interesting though, and also what makes it potentially subversive in Guy Debord’s sense as well, as all the best things happen in places and at times when there are no spotlights being shone in on them. Thank you to Lee Ranaldo, Vinnie Dermody and the Bello Bar for facilitating me taking this photograph. Thanks also to Siobhán Kane for organising that excellent event and setting me off thinking about this stuff. In all the above I forgot to say whether Lee Ranaldo was any good or not. He was. He was very good.